Pinnacle Property Services offer a tailored Property Management Service for Landlords in Kent. Each Landlord / Property is unique, therefore, our aim is to liaise with you to ensure that, we provide you with the best possible service, to meet your individual requirements. Your property, is your investment. Our commitment to you, is to provide a service that is second to none. We will look after your property like it is our own investment. Our dedicated staff members are fully insured, giving you peace of mind, that your property is in good hands with our professional services. We are able to offer you a range of property management services, from a Tenant find service, through to full property management. 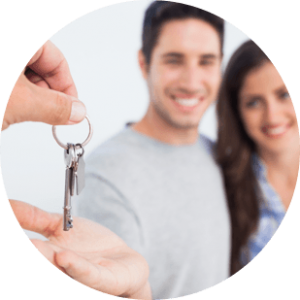 Pinnacle Property Services can cover all aspects of the lettings process. Our fully qualified team can assist in finding you a suitable Tenant, carry out the relevant referencing, on both Tenants and Guarantors, ensuring their credibility from the out set. As a part of the full property management service, Pinnacle Property Services can maintain your property records, ensure that all relevant certificates are up to date and carry out periodic inspections, to ensure that your Tenants, are adhering to the terms set out within the tenancy agreement. We can arrange to collect the monthly rental amounts, hold deposits and secure them within a reputable scheme, passing all relevant certificates and prescribed information, on to the tenants within the required time frame. Should your Tenants experience any issues in relation to repairs on the property, we will be their first point of contact. Our staff will liaise with yourself to arrange maintenance repairs, to be carried out in a timely manner and at a reasonable cost, using certified tradesmen from our value for money client list. 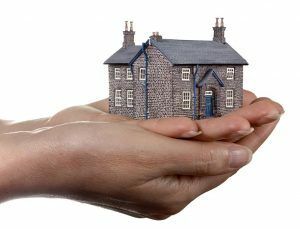 As a part of our tailored Property Management service, we can offer a key holding service for our residential Landlords service. This service by Pinnacle aims to provide, peace of mind and security of the property in your absence. We can produce condition reports, should there be any issues involving criminal damage, liaise with the authorities and insurance companies to ensure the repairs are managed. Incorporated within this service, are call outs for gas leaks, water issues, lock outs and alarm response, to name but a few. Our Property Management Service takes the Landlord’s stress out of the whole lettings process with excellent results. We make it our responsibility to ensure that all our Landlord’s are knowledgeable about all current legislations with regards to letting their property. Looking after your investment, is paramount for our Landlord’s Property Management service, we’re value for money compared to the average Letting Agent and we are excellent at what we do.